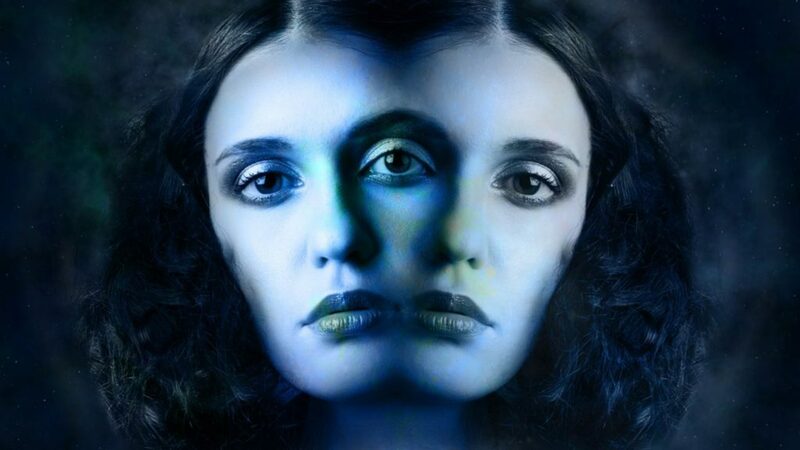 In old German mysticism, a person’s double or what some would call the spirit double, second self, specter, ego or body’s oversoul was known as a “Doppelgänger”, which dopple means “double,” and -gänger, meaning “goer” – “double-goer”. Today in scientific jargon, the doppelganger effect is known as heautoscopy which I will explain below. According to the old German ways, all living creatures have a double who is invisible but identical to the living person. The word doppelgänger was first coined in 1796 by the author Johann Paul Richter, who wrote under the pseudonym Jean Paul. Doppelgänger became an even more popular term after it was used in German horror fiction stories such as the 1846 novel The Double by Fyodor Dostoyevsky and Die Elixiere des Teufels, 2 vol. (1815–16; “The Devil’s Elixir”), by E.T.A.Hoffmann. The Apocryphon of John associates this spirit with the creation of humanity and the concept of fate with the power to enslave those who stray too far from the practices advocated in the text. This is why the doppelgänger is considered to be a “carbon copy” of the real person. It can be called the alter ego or the mirror image. It is somewhat common for people to report leaving their physical body and looking down at it lying in bed. This is also known as an out-of-body experience (OBE) and is called an autoscopic phenomenon (from “autoscopy”; in Greek, autos means “self” and skopeo means “looking at”). The doppelganger effect is different given the fact that the person is said to be actually seeing and interacting with their double self rather than people who report and out of body experience as leaving their physical body and seeing it from an outside perspective, say floating above a bed or hospital bed when someone is said to legally die and come back from the dead to report what they saw and heard. Modern scientists like Peter Brugger, a PhD student in neuropsychology at the University Hospital Zurich in Switzerland, have researched these paranormal experiences such as an out-of-body experience (OBE) and have attempted to offer scientific explanations. Approximately two decades ago, Brugger had been treating a 21-year-old man for seizures who had very nearly killed himself one day, when he found himself face-to-face with his doppelganger after the patient had stopped taking some of his anticonvulsant medication. One day, instead of taking his medication and going to work, he stayed in bed and drank beer. After some time, he felt dizzy and stood up but saw that his body was still lying in bed. Apparently, he was aware and try to wake himself up to no avail. Eventually, he got so frustrated he jumped out the window and almost killed himself but ended up living to explain to Dr. Brugger what had happened. “On the respective morning he got up with a dizzy feeling. Turning around, he saw himself still lying in bed. He became angry about “this guy who I knew was myself and who would not get up and thus risked being late at work”. He tried to wake the body in the bed first by shouting at it; then by trying to shake it and then repeatedly jumping on his alter ego in the bed. The lying body showed no reaction. Only then did the patient begin to be puzzled about his double existence and become more and more scared by the fact that he could no longer tell which of the two he really was. Brugger claimed that man told him that he had jumped to “find a match between body and self”. After that man received treatment for his fall-related injuries, the young man underwent surgery to remove a tumour in his left temporal lobe, and both the seizures and the bizarre experiences stopped. As I mentioned above, the doppelganger effect is also known as heautoscopy which is a term used in psychiatry and neurology for the reduplicative hallucination of “seeing one’s own body at a distance”. What’s interesting about this suicide revelation is that I also had tried to kill myself when I was at a dark time in my life. I was facing a lot of time in prison and while on bail, I developed a serious alcohol and drug addiction. I clearly remember that day and night as if it were yesterday. It was like watching a movie of myself and I was two people. Really, it was surreal. One person had taken control and said he was done with my wretched self and life. My time was up. It was time to die in that hotel room. As I looked in the mirror at my pathetic self, I drank the bottle of whiskey and started swallowing handfuls of Xanex. All the while, my 5-year-old son who I thought was an angel was lying sleeping on the bed. Later, in a drugged stupor, my other self seemed to try to regain control and started calling my ex-wife on the phone who then called my sister who found me at the hotel. There is much more to the story and maybe someday, I will tell it. Looking back, I can say that I believe I had experienced the doppelganger effect and possibly my suicide attempt with my doppelganger than trying to save me meant that it wasn’t my time just yet. It makes me think that I must have some work still to do in this carbon 666 double before the fungi in my body consumes my memory and light. A few years back, one December afternoon , I was sitting in my armchair reading one of my favourite books when I started to nod off, but noticed the drowsiness in time not to give in to it. A few sentences later and I started to nod off again but said to myself, ” no you will read and not fall asleep “. Mild surprise of wtf said that. When my ‘twin’ speaks to me : it (she) speaks, then pauses or waits, then repeats the exact words again. The time above with the book reading communication I only heard the sentence words once. So, which doppelganger part of me wanted to read the book ? The Body Soul or The spirit ? Eidolon or Daemon, please own up. Which is dominant in the symbiosis ? Which one wanted to demonstrate it was in charge ? Creation began with the duality of a single Reality. As a singularity issued from out of the darkness issued into the Light having a dual quality. These two being of a single source are same, there being no difference between the two, however, there being a distinction, therefore as a singularity having a dual quality was giver two Names; one of the qualities being referred to as being the Doppleganger. According to Hermes Trismegistus as written in the Emerald Tablet; As above so below, as below so above. Creation beginning with the Doppleganger, The Reality of First Cause, which caused the system of Chaos to make manifest the Heavens and the Earth. 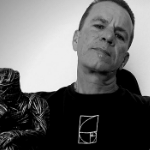 I’m an ordained Essene Nazarean priest and in my humble experience, double gangers are our etheric bodies who keeps in doing only the thing that our physical bodies would wanted to do but for some reasons our physical bodies cannot. For example, I want to go to the kitchen to drink some cold water in the fridge but I’m too tired to get up on the couch. Then there he was, my double ganger already drinking a glassful of cold water in front of the fridge. Hey Moe, This is an excellent article. The Blue ETs in Alec Newald book mention it exactly as you wrote. If we could join these two bodies, a person can bend all laws of physics and the dark rulers of this world would lose control. Its kind of Matter Anti-Matter Cycle in our bodies, which Blue ETs are trying to Merge and make it one so that we are aware on this cycle of shifting from one body to another, it happening as do everyday tasks. The whole point of some of the Aliens coming on Earth is to actually, join these two self, so that we do not die or kill ourself. We always have two bodies on Earth, one dies – one never – This is about the whole control on Humanity is based on these two bodies, if we could somehow join these two…Human Beings will be free. Man has a dual quality is a duality.